en the US and Russia are escalating to their worst levels since the Cold War as it was suggested that both sides are preparing for conflict. Moscow has been accused of posturing to the rest of the world by prepping civilians for potential war, instructing them to check on the availability of bomb shelters and gas masks. In response, US intelligence officials told NBC News that the CIA is preparing for a possible cyber attack on the Kremlin to embarrass its leadership. 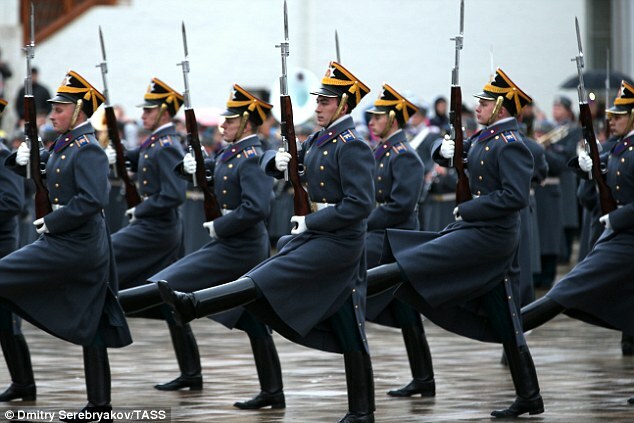 Russia's UN ambassador also admitted on Friday he feels that tensions are at an all-time high. Vitaly Churkin said that Cold War relations between the Soviet Union and Russia more than 40 years ago were different than U.S.-Russia relations today. 'The general situation I think is pretty bad at this point, probably the worst ... since 1973,' he said in an interview with three journalists at Russia's U.N. Mission. But Churkin said that 'even though we have serious frictions, differences like Syria, we continue to work on other issues ... and sometimes quite well'. Churkin said that is different than during the Cold War when Egypt and Syria launched a surprise attack against Israel on the holiest day in the Jewish calendar in October 1973, the Mideast was thrown into turmoil. And according to historians, the threat of an outbreak of fighting between the Soviet Union, which backed the Arabs, and the United States, Israel's closest ally, during the Yom Kippur War was the highest since the 1962 Cuban missile crisis. Churkin said there are 'a string of things' that have brought U.S.-Russian relations to their current low point. 'It's kind of a fundamental lack of respect and lack of in-depth discussions' on political issues, he said. Churkin said Russia would like to normalize relations with the United States. 'If the change of administration is going to help, that's fine,' he said. But even if President Barack Obama stayed for another term, which he is barred from doing, 'we would be pushed to trying to get back to normal in our relations'. Many defense experts believe Russia is not intent on war but is instead throwing its weight around to deter western countries from intervening with Russian bombing in Syria. Among the 'stunts' carried out by the Kremlin have been state-sponsored television guides on how to prepare in the event of an attack on Russian soil. State-controlled media has also carried news bulletins warning civilians to familiarize themselves with the nearest bomb shelters and clarifying which government bodies would take command in the breakout of war. 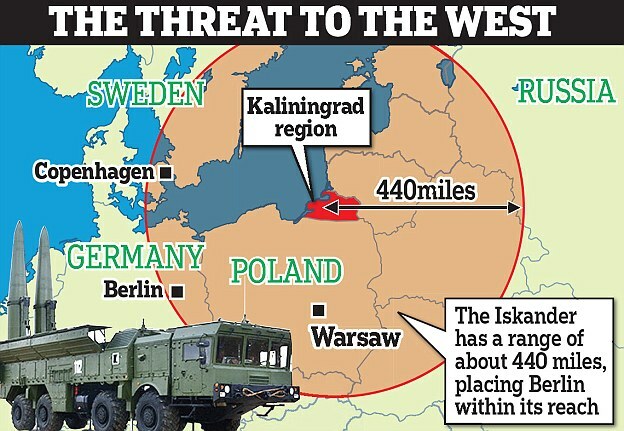 Last week Russia moved nuclear-capable Iskander ballistic missiles into one of its regions on the Baltic Sea - prompting a fearful response from Poland and Estonia. 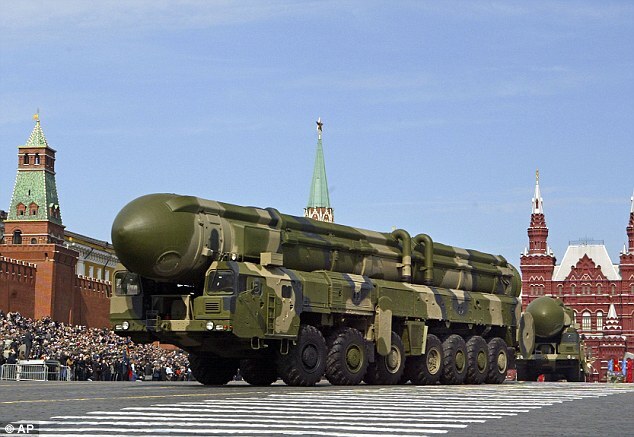 Russia says the missiles are being deployed as part of regular military maneuvers to Kaliningrad, but it comes amid heightened tensions between the country and the West over Syria. At the time, Polish Defence Minister Antoni Macierewicz said Poland considers the matter of 'highest concern' and is monitoring the situation. It comes as the administration of US President Barack Obama prepares for a possible cyber strike on the Kremlin. The covert operation has been prepped to ensure that Russian hackers are unable to interfere with the Presidential vote in November, NBC News reported. U.S. intelligence officials told NBC News the CIA 'had already begun opening cyber doors, selecting targets and making other preparations for an operation'. Earlier this month, reports from Moscow suggested the Kremlin had ordered officials to fly home all relatives living abroad - with some residents claiming it is 'another step towards war'. The Kremlin is said to have told high ranking officials to bring their loved ones back to the 'Motherland' immediately - with any who disobey being overlooked for promotion. 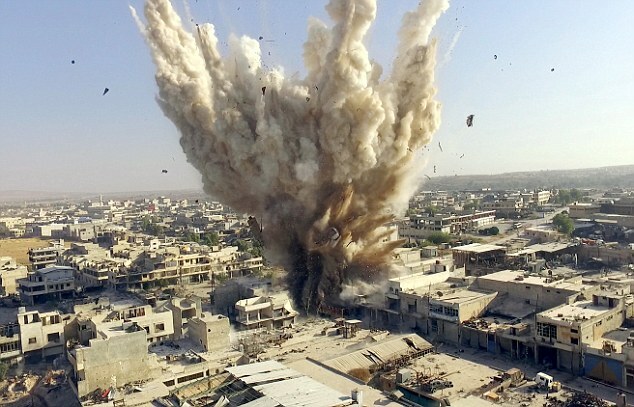 It follows a backdrop of rapidly deteriorating relations with the West over Russia's role in the Syria conflict. 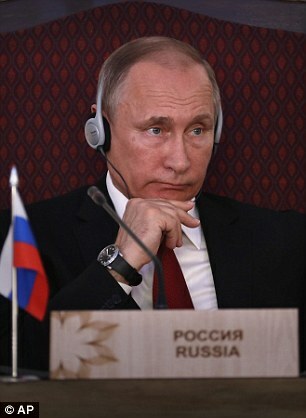 Putin cancelled a planned visit to France amid a furious row. Former Soviet leader Mikhail Gorbachev warned just days ago that the world is at a 'dangerous point' due to rising tensions between Russia and the US. 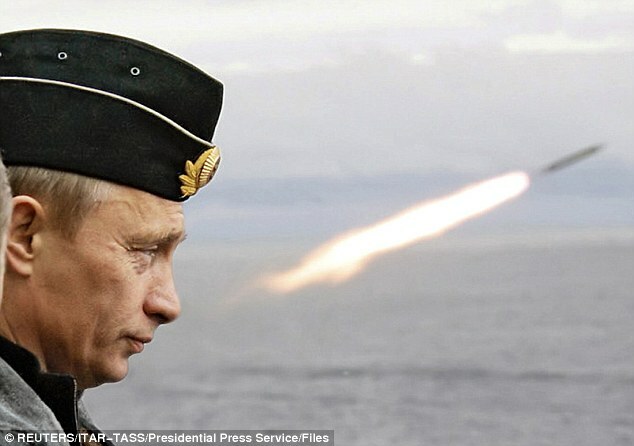 Russia's military conducted a series of intercontinental ballistic missile tests on Wednesday, the latest flexing of its muscles as tensions with the US spike over Syria. The latest display of might by Moscow - which has been conducting regular military drills since ties with the West slumped in 2014 over Ukraine - comes as tensions have shot up in recent days. Russia has pulled the plug on a series of deals with the US - including a symbolic disarmament pact between the two nuclear powers to dispose of weapons-grade plutonium - as Washington has halted talks on Syria. The Kremlin has also moved an air defense missile system and missile cruisers to the war-ravaged country to bolster its forces there. Washington has previously lashed out at Moscow for resorting to alleged 'nuclear sabre-rattling' as East-West relations fell to the worst level since the Cold War following Russia's seizure of Crimea from Ukraine in March 2014.